It is important for you to recognize the inherent lack of guarantees in life and in birthing. Any birthing environment, whether at home, birth center or hospital presents a distinct set of risk factors. 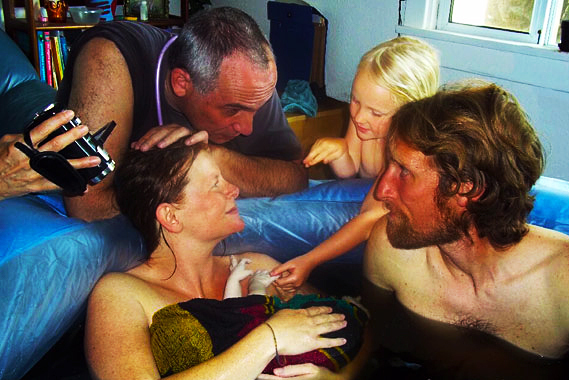 Nothing can guarantee a perfect birth outcome regardless of where it takes place. Despite all the best planning, preparation, good health and your strong desire for an out of hospital birth experience, not all births can occur safely there. Having said that, my staff and I want you to have a joyous outcome and are totally invested in helping you achieve a safe and nurturing birth. You can be assured that if you are chosen as a client of our practice that you are in a category of low risk clients we feel will do well at attempting a home birth. I bring special skills, individualized care, support and guidance for a safe home birth. Over the years of my practice, I have managed a variety of challenges and complications well beyond the scope of the low risk midwife. However, due to the location of an out of hospital birth I cannot provide all of the same services as a physician who is hospital based. I can provide you with some options that are outside the scope of practice for my midwife colleagues. These include the option of breech vaginal birth, home vaginal birth after c/section (HBAC) and twin deliveries when certain criteria are met. My primary concern is to assist you and your baby with a SAFE birth. Location is a secondary concern. Our philosophy contains the tenet that you should consider out of hospital birthing only as long as your pregnancy and labor progresses within the parameters of my experience, judgment and skill.